How To Add Breaking News Ticker Widget In Blogger - XpertShout Yayın bulunmaktadır. Get the easiest way of adding breaking news ticker or widget in blogger websites template. Blogging is the famous earning source for comman peoples. To earn money a blogger tries to get more and more visitors to his blog to get more clicks on ads and to earn money. So, he tries to beautify his template via different gadgets and tricks. XpertShout is going to share one of the gadget that beautify your template. Yes it is how to add recent posts breaking news widget in blogger. You have to follow some steps given below after following steps you can install breaking news or recent posts ticker in your blogger template. Breaking news ticker is an important widget or plugin for news based blogger websites. It shows latest news in every second of time. 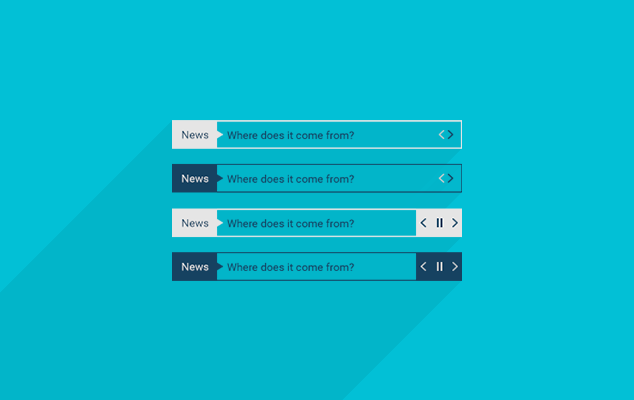 So, you will get more engagement via breaking news ticker. Go to blogger dashboard and click on Theme > HTML. Now add below script after <head> or above </head>. If you have already added this script then skip this step. Now search for </head> and paste the below script just above </head>. Now find //]]></b:skin> and paste below script before //]]></b:skin>. Now add below html code where you want to appear breaking news ticker. You can add this code in Add Gadgets in layout. Replace www.xpertshout.com with your blog address.